Shipping parcels from the USA to Canada is dominated by FedEx and UPS. Their USA networks are unrivalled and their ground service offers the lowest cost for large parcels. But when shipping times and clearance costs are considered, ground shipping from the USA to Canada is not always as low as it may seem. Due to Canadian clearance costs, shipping parcels via ground from the USA to Canada is not always the most cost efficient method. 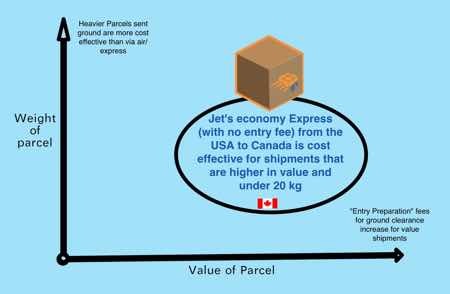 The "clearance preparation" cost can be significant if your parcel is valued as little as $200 CAD. The additional cost clearance can mitigate - or even eliminate - the lower price of shipping ground from the USA. Canadian companies who receive many shipments from the USA often calculate their shipping cost separate from their clearance cost. And thus, do not realize they can send via Jet's economy express for about the same (or even less) from the USA with a much faster transit time. For express shipments from the USA, clearance is included but carriers charge a "disbursement fee" . The fee's average between $15 and $20 and are calculated as a percentage of the amount of duty/ taxes the carrier paid to Canadian customs on behalf of the importer. As the above chart shows, Entry fees are much higher. In addition to our individual parcel service Jet advises US companies on the best methods for shipping their e-commerce parcels from the USA to Canada. Using direct injection processes, American retailers can better serve their Canadian customers. 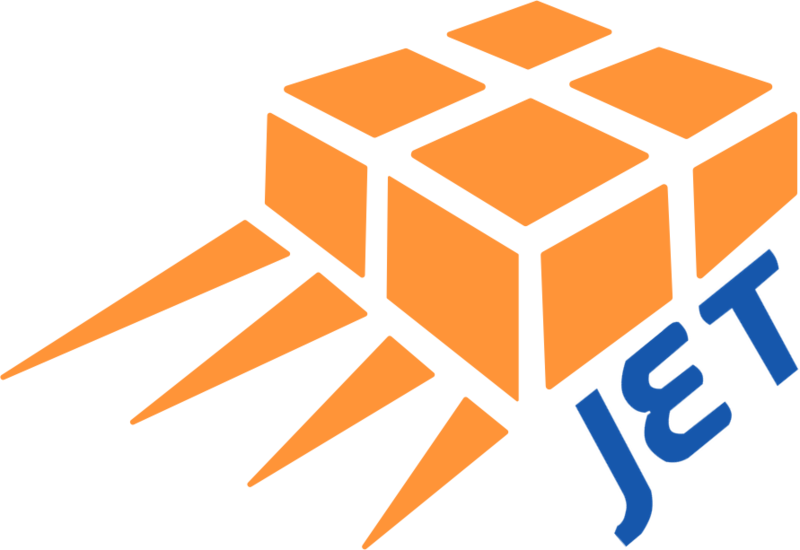 In addition to our direct injection, Jet helps American companies manage their distribution needs in Canada with low minimum storage, pick/ pack and on demand next day delivery across Canada.